The beach of la Concha is one of the main attractions during the summer season. 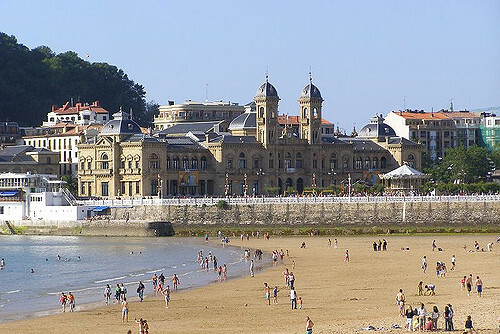 It is located in the Bay of la Concha from the city of San Sebastián (Spain). Is one of the urban beaches more famous of all the country with a kilometer and half of sand white where prevail the elegance and the urbanity.